NAMED AFTER ONE OF SOUTH AMERICA’S ANCIENT CIVILIZATIONS THE INCA TRAIL IS A 43 KM (26 MI) LONG ROUTE UP TO ONE OF THE MOST VISITED PLACES ON EARTH – THE MACHU PICHU. As the Andes stretches for over 7,000 km (4,350 mi), taking the trophy of the longest mountain chain in the world there is no question that South America is a perfect place for adventure travel. Even though there are hundreds if not thousands of trails in the Andes, the Inca Trail has to be the most famous. This is no surprise as through the jungle and the ruins of an Inca’s civilization it leads straight to Inca’s most acclaimed piece of legacy – the Machu Picchu. Cuzco – the historic capital of the Inca Empire (during 13 – 16th centuries) declared as World Heritage Site by UNESCO. The Sacred Valley – spreading from the towns of Pisac and Ollantaytambo The Sacred Valley astonishes with the views of rivers, archaeological monuments and indigenous peoples surrounded by the mountains of the Andes. Dead Woman’s Pass – the highest point of the trek as it reaches an altitude of 4,215 m (13,828 ft). The pass is named as Dead Woman’s because when looked from below its crest has a resemblance with woman’s supine body. Machu Picchu – the superstar site of ancient South America, a 15th century Inca citadel located at an altitude of 2,430 meters (7,970 ft). The route involves a lot of walking not only while on a trail but also while visiting the sites. Some sections of the trail are quite steep and feature stairs. With all the already mentioned you should also take into the account the high altitude and an intense sunlight. All in all, even though the Inca Trail can be done by almost everyone, you should keep in mind that it will require work and endurance. Make sure to take apply sunscreen and take plenty of water with you as well as covering your head from the sun and wearing appropriate footwear. Keep in mind that accessing the trail requires permits or being a part of a guided tour. 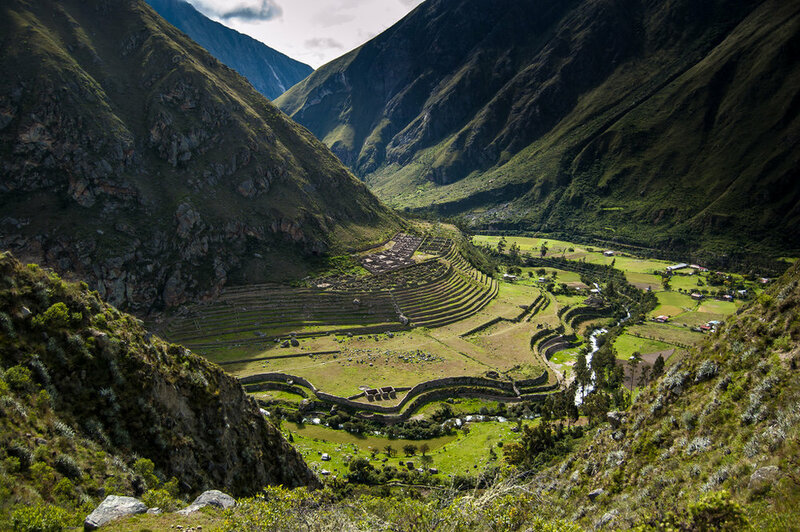 Once you’ve decided to take the challenge and trek the Inca Trail, you’ll soon realize that there is a vast choice between the variations of the Inca Trail. Most of the tours start in Cusco, although it is easy to combine the sightseeing of Lima and the Inca Trail into one. 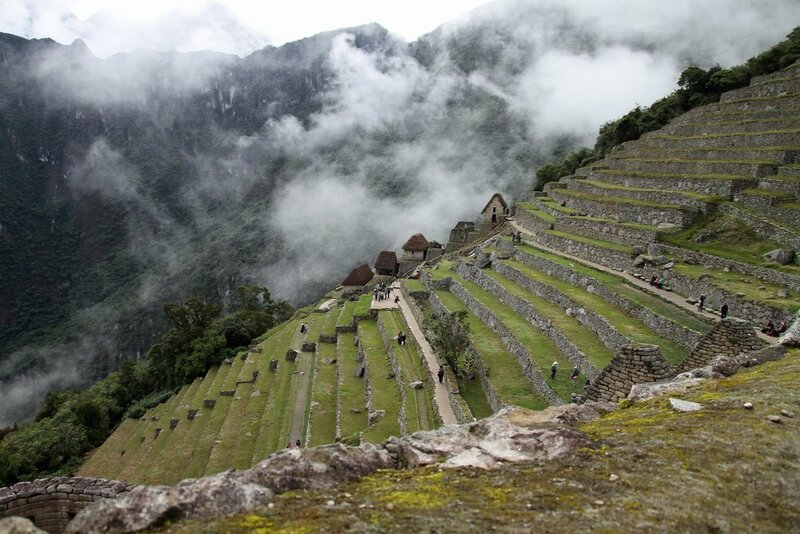 Here we give you the description of the most popular route – the Classic Inca Trail. Although, you should keep in mind there are other routes such as The Inca Quarry Trail and also the possibility to reach Machu Picchu by the train going to Aguas Calientes, from where it is only a relatively short hike to Machu Picchu. Day 1 (12 km): the Sacred Valley – starting early in the morning (around 4-5 am) you get picked up from your hotel and driven through the villages of Chinchero, Urubamba, and Ollantaytambo, until you reach the 82 km (50 mi) of the mountain road – which is the head of the trail. From there of you’ll hike through the Vilcanota River and head up on the moderately steep path right to the view of the ruins of the Inca hillfort of Huillca Raccay and Cusichaca river. From there on you’ll go down the hill straight to the village of Wayllabamba at an altitude of 3,000 m (9 842 ft). Day 2 (11km): Dead Woman's Pass – the second day is a bit more challenging. First, you’ll start with a 3-hour long walk through the woods up the hill until you’ll reach the Llulluchapampa at an altitude of 3,680 m (12 073 ft). Then after only one hour of the climb, you’ll find yourself at the elevation of 4,200 m (13 779 ft) at the Dead Woman's Pass. After the pass, you’ll descend quickly to the campsite at Pacamayo – 3,600 m (11 811 ft). Day 4 (6km): Machu Picchu – from here you are only an hour away from your destination – the – Machu Picchu. Waking up early is recommended as the light of the first sun makes the whole experience even your magical. The trail leads you to the last 50 steps to Intipunku – the Sun Gate, where suddenly the view of Machu Picchu opens up in front of you. After spending as much time as you have in Machu Picchu you’ll take the bus to Aguas Calientes, from which the train will take you back to Cusco. For more information or to book this or many other adventures visit Intrepid Travel.